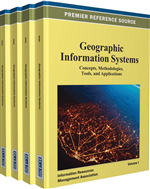 This paper discusses an introductory cartography and GIS service learning course. The service learning experience, highlighted by a final mapping project and community presentation, resulted in 3,000 student-designed maps being distributed to community residents, a website of downloadable student maps, multiple student speaking engagements, and a sustained community-university collaboration. The course demonstrates the importance of applied geography in local communities and highlights the benefits of community-university partnerships for addressing social change. Such an applied geography experience offers an important twist on the conventional, introductory cartography course where students engage in pre-packaged lectures and labs, and are then asked to complete a final mapping project. Unlike the conventional approach, this service learning class experience allows students to use their creativity to demonstrate knowledge learned in the course and allows students to apply and present their geographic knowledge in a real-world setting to community members. As academic geographers one of our main responsibilities is to teach undergraduates. This teaching can take a variety of forms, including classroom learning/instruction, fieldwork, lab work, advising, research partnerships, and independent studies. At the core of many of these teaching experiences lies the belief that we can somehow offer our students the opportunity to bridge theory with practice; connect classroom learning to real-world issues; and develop their curiosity for exploring complex geographic issues. Service learning, a form of experiential learning, offers a model for accomplishing these tasks and enhancing undergraduate education in geography. Service learning is a “credit-bearing educational experience in which students participate in an organized service activity that meets identified community needs and reflect on the service activity in such a way as to gain further understanding of course content, a broader appreciation of the discipline, and an enhanced sense of civic responsibility” (Bringle & Hatcher, 1996). In the past few decades, the service learning model has seen some success in geographic education although examples in the literature are not as prevalent as might be expected. In this paper, I emphasize the need for service learning in undergraduate geographic education. Borrowing from the literature and summarizing my experience with an introductory cartography and GIS service learning course, I suggest service learning as a form of applied geography that can connect classroom learning to real-world geographies. Mohan (1995) in a critique of geographic education suggests that many geography courses fail to make linkages between classroom learning and real-world issues. In his view service learning can enhance student learning in geography courses by making these connections. Like Mohan (1995), Dorsey (2001) and Speck (2001) argue that service learning can improve geographic education by offering students first-hand experiences of social issues. Further, researchers suggest service learning as a way for students to critically assess social injustices and to gain direct experience with these injustices in particular places. In so doing, students can develop greater civic responsibility and an increased commitment to communities (Densmore, 2000; Flint, 2002; Waddington, 2001; Elwood, 2004, 2009; Longen, 2007). One of the benefits of this increased civic responsibility and added accountability is that students are often encouraged to become more engaged with classroom material and in many cases create higher quality assignments (Speck, 2001; Waddington, 2001; Longen, 2007; Elwood, 2009). Further, students working with communities in service learning courses can be exposed to cultures, neighborhoods, people and experiences that are quite different from what they experience in their daily lives (Buckingham-Hatfield, 1995; Oberhauser, 2002; Martin, 2003; Elwood, 2004; Elfin & Sheaffer, 2006; Parece & Aspaas, 2007; Oldfield, 2008). Service learning courses can also more effectively promote student understanding of knowledge construction, power relations, and dominant assumptions about social issues (Oberhauser, 2002). A major benefit of geography service learning courses is the increased opportunities they offer for students to transfer knowledge from classroom learning to real-world skills (Elfin & Sheaffer, 2006; Parece & Aspaas, 2007; Schlossberg & Wyss, 2007; Scheyvens et al., 2008). Waddington (2001) in a discussion of her service learning experience states that many of her non-service learning course students are often unable to retain skills, and also unable to transfer skills from class exercises to final course projects. She finds the opposite with students in her service learning courses.